I wasn’t going to write a blog post on Bobs Bingo because I thought that people would think I am being biased with the pub being my own family pub but then I thought well why not?? I might sound a little biased but that’s only because I am excited about the bingo taking off and I hope it does well. 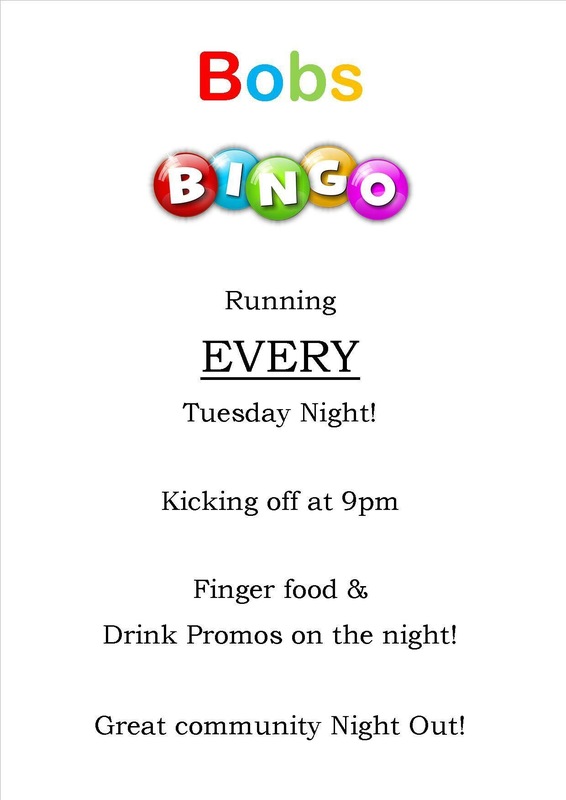 We start the bingo around 9pm every Tuesday night. Sometimes it is 9.10pm but it is always around the 9pm mark. We have bingo books for sale that are €10 and at half time we sell ‘Bobs Special Sheet’ for €2! Myself along with Mary another girl I work with take turns calling out the numbers each week. I am terrible at all the bingo names for the numbers but I am kindly reminded when I say the wrong name by the people playing!!! Pour Mary is reminded too! So this week is week four of Bobs bingo and so far it has been a good night every night. The people who have come along have told us they really enjoyed the night and that’s what is important. The first week we had twelve people playing. Yes twelve. Rome wasn’t built in a day and those twelve people all had a good night and came back the following week so that’s what matters. The second week we had forty people playing. I have to say I was delighted with the turn out. Myself and Mary had a secret victory hug at half time before giving out the finger food. It really is the little things in life!! The third week the schools started back but we still had a great turn out with thirty people playing. Lastly fourth week we had almost 50 people playing! Yes incase you were thinking it, myself and Mary did have yet another victory hug in the kitchen at half time. These victory hugs are an important part of the night!! So far we have had a mixture of everyone playing the bingo. Both young and old, men and women. Anyone can play and everyone is welcome. Our snowball jackpot is now up to €350 and hopefully will get higher as the weeks go on. If your free on a Tuesday night, why not pop down? It starts around 9pm and finishes before 11 most nights for those working the next morning. Each week we get everyone to put their name on the back of the book, we then collect all the books, put them in a box and pull one out. The lucky person with their name on the book that is pulled out gets a FREE book for the following week! My mam also hands out some complementary finger food at half time which is handy if your up for a bit of a nibble! Next Introducing Try it Tuesday!